Islamic Marketing to any Muslim trained in marketing must also be the effort to correct the world’s perception of Islam. 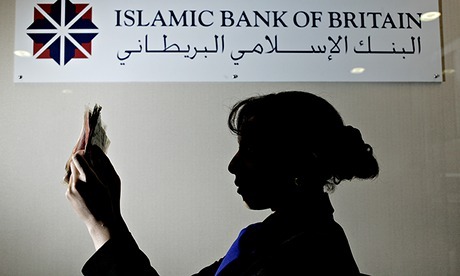 The Islamic economic force is about much more than ‘meat and money’. Muslim majority and minority markets, while rooted in Islamic principles, transcend faith. Opinion: So what is Islamic Marketing & what’s all the noise about? It’s about more than ‘meat and money’. More importantly, for Jonathan Wilson, it reflects a growing interest in ‘Brand Islam’; and recognition of Muslims as a significant segment, sector, and audience. As the Muslim community expands a growing number of Islam-related businesses are launching around the nation. They sell everything from clothing, music and makeup to toys, frozen dinners and cookbooks. The unstoppable growth of halal products shows we are all fair game for marketers. A few years ago, the only “halal” signs one saw were on butchers’ shops, But now halal is turning into a global brand. Fleishman-Hillard has launched Majlis, a specialised unit that aims to help clients build more successful engagement with the global Muslim consumer market. Majlis is an Arabic term that refers to an assembly for dialogue. The people of Saudi Arabia are furious with the McDonald’s fast food chain for a toy which they say desecrates the name of Muhammed, the Prophet of Islam. They are demanding retribution. “Islamic Marketing” or “Islamic Branding” as it’s colloquially known is fast becoming one of the most hotly debated topics intoday’s marketing circles. ‘Halal’ is moving beyond the conventional good, wholesome and pure. It is extending to beauty, pharmaceutical and even tourism. Call for papers! Join Islamic Marketing scholars, researchers and experts from more than 30 countries, meet many ambassadors and commercial counselors, listen to UAE business gurus, win major awards, and publish in three international journals, and more! Opinion: The Ramadan Season is over – so what now for Muslim brands? In the UAE consumption shot up by 30 per cent on the eve of Ramadan. Some $2.2bn was spent on advertising in Ramadan in 2010. Some companies use as much as 78 per cent of their advertising budgets during this time. But once Ramadan and Eid have passed – then what? As more and more transnational companies look at expanding their footprints in the global Islamic market, which accounts for around 23 per cent of the world’s population and is projected to grow to about 35 per cent in the next 20 years, brand managers and marketing heads need to study and analyse the religion that dictates so much of public life and its associated values. The answers lie in, first, understanding the trends within the community then, secondly, delving into each subset of the trends to identify emotional triggers that would provide a platform for the brand to establish itself with its target segment and lastly, basing or developing the brand’s business strategy on the ethical values of Islam.